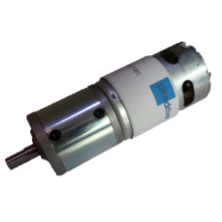 Brushed DC gearmotors suitable for a variety of applications. With a wide range of controllers available to meet your needs. Explore customizable or set drivers. Do you have a question? Our UK-based sales team is delighted to help you. Contact us to discuss your requirements. THe ZDDCMG12v43-3 is a powerful brushed DC gearmotor suitable for a range of applications.